It seems like we had been together for way longer but we just passed our third year anniversary mark last week. 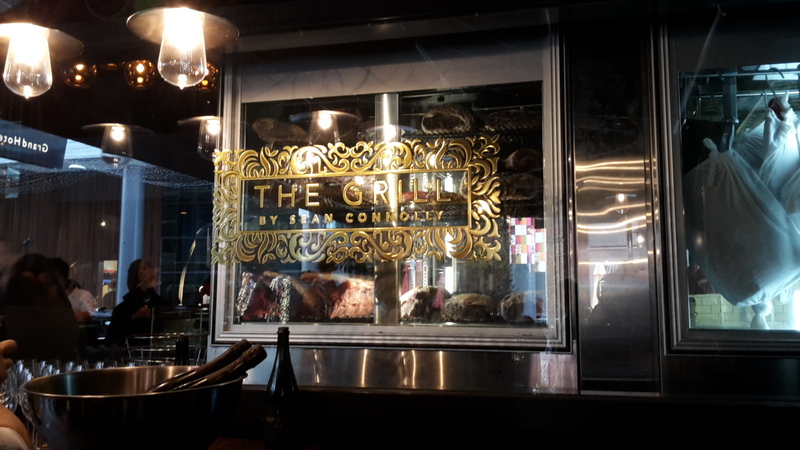 A timely gift from some awesome friends meant that we were able to attend an Auckland Restaurant Month event at the Grill by Sean Connolly, at the Sky Tower. Normally a fancy steakhouse, it was for once packed full on its two floors by fromage-philes, some of whom might not even like meat. There were young couples, old couples, groups of friends. Over five courses, we were taken on an introduction to a few New Zealand artisan cheesemongers, from goudas to bries to blues, and even some fromage blanc. The excited full house crowd made the chef Sean difficult to hear, and at time I was cringing expecting the glass to break while he was trying to grab our attention. The menu was not the most adventurous, and was lacking in wine, but had some good surprises, such as the Yorkshire pudding as an entrée and the cheesecake for dessert. A thought the dessert should have come last after the cheese platter, always prefering to end his meal on a sweeter note than savoury. However, we both ended in a food coma, the dishes being surprisingly filling. Many thanks to the Mt Eden crew, we had an awesome time out.